Most people who follow a rainbow find a pot of gold, but luck has been bad for Tiger Woods lately and when he followed a rainbow to its source, he found a leprechaun — an ugly one with golf clubs. 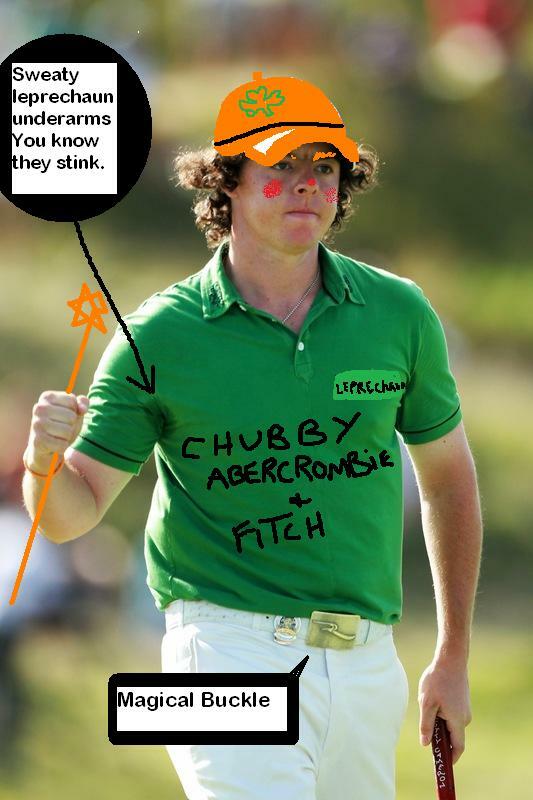 The leprechaun calls itself Rory Mcllroy and boy is it ugly! Sources say that not only was the leprechaun unnattractive, it was a bit shapeless and a tad blubbery too — but wait, it gets even worse. The shapeless blob from Northern Ireland is a famous golfer and has even gone so far as to challenge Tiger to a match. 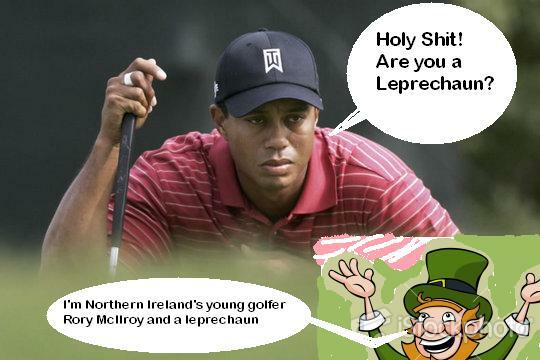 Rory the leprechaun chuckled because he frightened Tiger Woods and also because leprechauns giggle for no real reason. 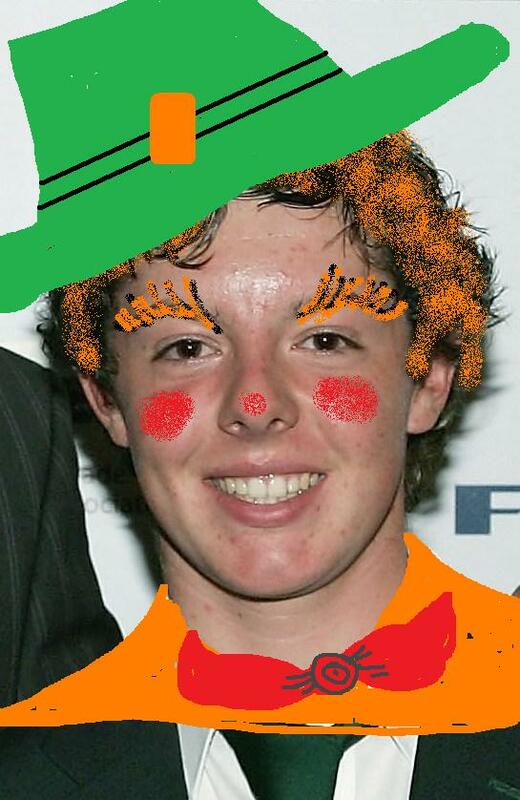 In any event, the little leprechaun is doing well as a golfer and now he wants to play against Tiger. Sarah Palin and Larry King talk about Dr. Laura and Mosques. I agree, rory is the ugliest dude I’ve ever seen. How can the show this guy on TV. I want to puke when I see his ugly freckled face. He’s magically delicious — always after me Lucky Charms! Fret not, Johnny — Rory is not the future of golf, he is the future of leprechauns.